This September, Wizard101 turns 10 years old! According to ten year old developmental milestones, Wizard101 will be capable of completing algebraic equations, drawing semi-realistic manders, and getting to warlord. We couldn’t be much prouder of KingsIsle reaching this historic milestone in the MMO world. 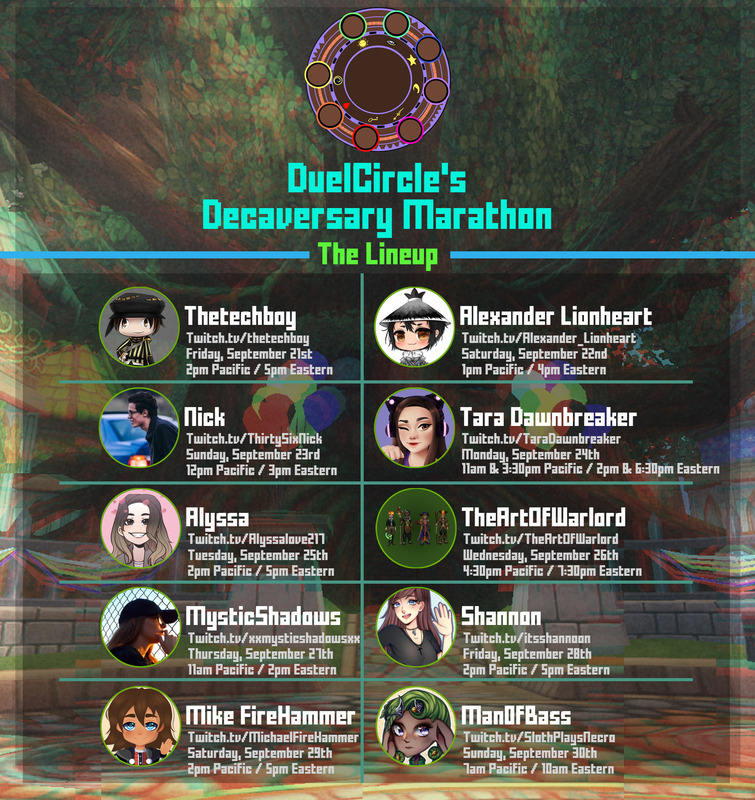 We’ll be celebrating Wizard101’s Decaversary by having a stream marathon over on Twitch by members of the DuelCircle Content and Stream Team. For TEN days beginning on Friday, September 21st through Sunday, September 30th, we’ll be streaming the game that brought all of us together in a marathon style. Each stream will be equipped with special giveaways and unique content to cater to the community! Check out the schedule and stream marathon lineup down below! For specific stream details, follow each streamer on the Twitter accounts listed below. The manders that run DuelCircle behind the scenes have a secret password. Your job is to find out what that password is. On our “Guess the password” page, you will need to enter in the password. 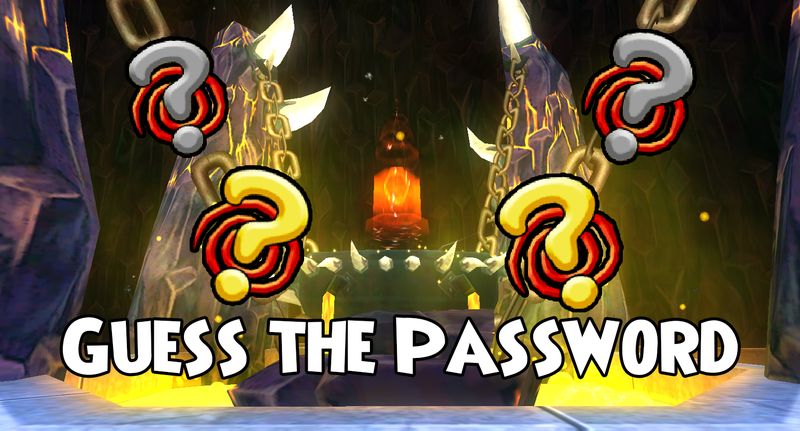 If you guess the password correctly, a code for 10,000 crowns will be revealed to you. Only the first person to redeem the code after guessing the password will win. We will be revealing hints to what the password might be on Twitter and at each Decaversary Livestream.